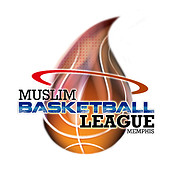 Unity, Development, Brotherhood, Dawah and Islam, these are the five principles that the MBL (Muslim Basketball League) bases itself upon through the combined love of one of the most popular sports in the world, basketball. With over 20,000 people in attendance at this years NBA game 6 Final, it's clear that the sport holds an importance in the lives of many people. The league based in Memphis, Tennessee connects the core values of Islam with this love of basketball, providing a much needed platform for young Muslims to grow. With team names like Sahabas and Khalifahs, Muslims of all ages have found the MBL a fun place to escape the vices of modern America, and they are having a good time with it too..
We interviewed Sameer Mansour, Director of the MBL and got to know more about who MBL Memphis are and what it is they do. So when was the league founded and what was the inspiration for starting? The league was founded in October 2012 and we are now entering our 7th season this coming October Alhamduillah. The inspiration really came from our own experiences growing up as Muslims. For many of us in Memphis, our main outlet was playing sports. It was an escape from reality and an alternative to the vices around us. However, it was a growing community and still is, so we didn't have the facilities or programs intact to support us. We noticed a lot of the younger guys were dealing with the same issues we once did and decided to provide something that wasn't available to us. So one day some brothers invited me to a coffee shop with a proposal for getting a basketball court built. We talked back and forth for a few weeks until we took a step back and decided to switch gears. Let's get a league together and focus on bringing in the people first. From there MBL Memphis was born. What are the main goals and objectives for the people involved in the league? We have 5 values that MBL Memphis revolves around: Unity, Development, Brotherhood, Dawah (calling to the religion) & Islam. The teams, players, captains, referees, organizers and volunteers all adhere to these values in order to maintain a welcoming environment while allowing all involved to develop mentally, athletically, spiritually and socially. We want anyone that joins to benefit in at least one or more of these areas. The overall goal is to consistently provide a space that brings together people from several different walks of life and uniting them over a common passion while giving them the resources and tools to meet their own goals as athletes and individuals. Basketball is synonymous with its disregard for ethnic and cultural prejudice. Do you believe basketball can be used to contribute to a more positive image of Islam? and have you had any experience of this? Absolutely yes. I truly believe all sports in general are such a powerful unifying factor. Basketball transcends all boundaries. The league has introduced us to Muslims and players of other faiths within our city that many of us would have never known. "I love playing with Muslims in this league more than some of the other leagues in the city because there's no drama, no fights just a good time playing basketball"
It's so amazing to see the diversity we have. When you're on the court, your background doesn't matter. I remember in the 2nd season a non-Muslim player said to me, "I love playing with Muslims in this league more than some of the other leagues in the city because there's no drama, no fights just a good time playing basketball." It's also shown to be an indirect form of Dawah. We circle up in the middle before each game to make a dua and we break when it's time for prayer. That alone has led to players of other faiths asking us about Islam and we've had players that have accepted Islam MashaAllah. Even the referees have shown an interest in learning more about our religion.The local community has noticed us too with a segment on ESPN Radio and recognition from the Memphis Grizzlies. In 6 seasons, we have had some amazing moments but the highlight would have to be when we lined up for prayer and a player that had never prayed with us and many did not know had accepted Islam stood shoulder to shoulder in prayer with his brothers. It just goes to show your character and demeanour as a Muslim is crucial to the image of Islam we portray to the world. If someone wants to join a team, what do they have to do? Are there trials or d-league equivalents? We actually have a draft which sometimes players get more excited about than the playoffs. New players without teams or former players looking to switch teams come out to play pickup basketball and some drills. Then the captains of the teams select their players and afterwards the rosters are released. Any players that register during the late registration period can be picked up as free agents. What is your main tournament and how does it work exactly? Is there a similar table format to the playoffs? The main tournament comes at the end of the season and the top eight teams qualify in order of their records. It's single elimination until a champion is crowned. Finally looking forward, what are some of the things you are looking to do in the coming years? InshaAllah there are actually three areas where we hope to grow. One area is providing a 14 and under league in order for us to start early on developing the characters and talents of the younger age group through the same experience offered to the 15 and up crowd. We'd also like to expand to additional chapters in other cities by replicating the model we have established here. Finally, the previous plan would tie into this one: a national tournament. Once we can increase our reach in other cities, it would be great to bring them all together and unite the different leagues with a national tournament. It's clear that the brothers working for the MB League have great passion and ambition. With basketball being one of the biggest sports in the US, the ability to connect both Islam and Basketball is powerful. We pray that the league is a continued success and that its presence allows for more positive progression in our community.